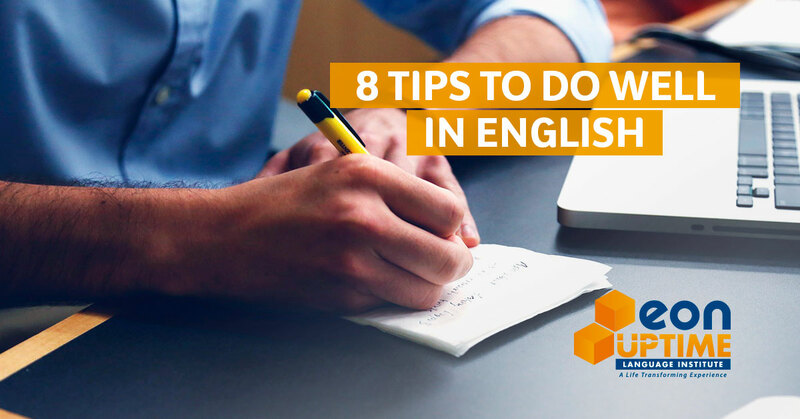 If you already know the importance of investing in being fluent in English, check out our recommendations so you can improve your studies. How about if you jump in with both feet into an English course? To take one step forward and acquire a second language can be a plus for you and open many doors in the job market. That’s right, with a few adjustments to your routine and some planning, learning English can become a reality for you. Let’s get started! Before we start, keep in mind that being fluent in English requires two things: immersion and using the language, which means, practice. That being said, if your problems are related to your busy routine and time management, these things are not going to change, right? Wrong! If you give in to your daily challenges you will never accomplish anything. “Opportunity does not knock; it presents itself when you beat down the door.” (Kyle Chandler). Isn’t that true? How can we overcome the obstacles to become fluent in English? Well, if your willingness to learn English is bigger than your excuses, than the road is already paved. Personal motivation is the first step and must be positive motivation to transform impediments into challenges and chances to changes. Try to fit in an English course into your routine; always thinking about your expectation and possibilities. So you think you don’t have a lot of time? Keep that in mind: Choose a course that offers flexible hours for you to schedule your classes. You can read the news on international websites, for example. Even if you don’t understand everything, don’t give up. Start with subjects you are more familiar with in your native language and you will have a better idea of the context. Audio-books, songs, speeches, videos on YouTube and movies without subtitles are good resources to learn. How about audio-books of children’s stories? It might seem crazy but those stories have a slow flow and are easier to understand, especially if you are a beginner. There is a wide range of options and you just need to choose the the story you like better. Change the focus when watching those materials and try to pay attention to what you hear. Combine the two activities above, writing what you listen. It is likely that new words have came up with meanings you don’t know yet. Write down those words, with the definition, ways to use and particularities. Create your own dictionary with them. Take some time to write sentences, after all, you want to become fluent in English, don’t you? Try to talk in English with a friend, colleague or relative for 30 minutes. It must be someone who is at least at an intermediate level, even if you feel you can’t communicate well. 30 minutes a day means 30 minutes a day. No more, no less. You gotta keep it regulated, ok? It’s necessary to think in English. Try to create opportunities to continuously use the language, adding resources that allow you to replace Portuguese to English. That can be applied in your phone configuration, pc, notebook, social media, etc. Make the language part of your habits. So, what do you think about putting those tips to test? It will help on your way to fluency. Think about it.